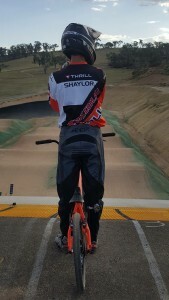 Brad Shaylor, a Penrith local, is Australia’s current under 15’s BMX Racing National Champion. He is an incredibly committed athlete, who trains daily both before and after school. He has recently qualified to represent Australia in the 2016 BMX World Championships in Columbia. Brad has been working with Dale, one of the Physiotherapists at The Healthy Body Company in recent weeks for treatment of a calf injury in the lead up to the World Championships. He complained of a niggling pain which was worsening as the volume of training increased. When Brad met Dale he explained that the calf was likely sprained or stretched because his pain would come on with calf activation and stretching movements. However, on examination Dale discovered that this was not the case. This pain within his calf was actually stemming from his lower back and gluteal muscles (bottom muscles). Brad responded with a look of disbelief, adamant that it was his calf that needed treatment and not his lower back. However his condition responded very well to treatment of his back – the calf pain had gone away with repeated calf raise. Disbelief is a common reaction by many clients who present with a pain in one region, but are told that the source of the pain is a different structure. In Brad’s case the cause of the pain was ‘Nerve Tension’. As we know, our muscles and joints need to maintain a certain flexibility to remain healthy but did you know that it is just as important to maintain the flexibility of our nerves? When a nerve is compressed by another structure, it does not have the ability to glide and move therefore it will stretch. When a nerve is stretched beyond a certain point it becomes painful. The reason for Brad’s calf pain was likely due to the prolonged amount of time that he spent in a ‘forward bending’ position, along with the higher than usual intensity of his training. This, in turn, triggered the muscles surrounding the nerve to spasm and reduced the flexibility of the nerve within his calf. Dale worked with Brad to altered Brad’s rehabilitation program to address these spasmed muscles and he is now able to get on with his intense training load again. 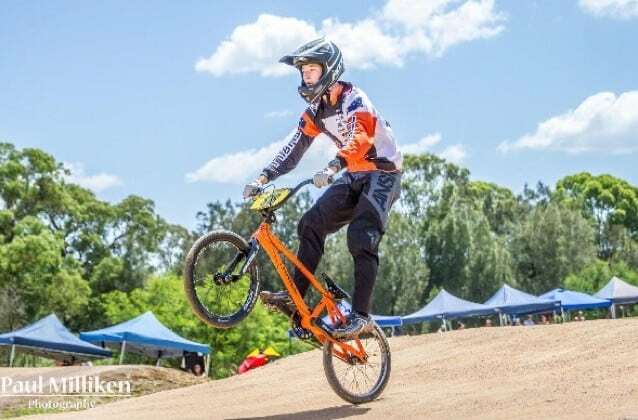 This injury had an excellent prognosis over a short period of time compared to the many other broken bones and other traumatic injuries that Brad has witnessed through this sport. Brad is seeking sponsorship to achieve his lifelong goal. If you would like to support Australia’s number one ranked local boy, he would greatly appreciate any contributions. Brad flies out for the World Championships in Columbia at the end of May, with the trip adding up to $8000 in total. If you would like to sponsor Brad, please contact us at The Healthy Body Company today. Dale Rolfe is a Physiotherapist who has a particular interest in managing sporting injuries. In addition to working with us at The Healthy Body Company he can be found spending his spare time with the Western Sydney Wanderers, Touch Football players, and Rugby League players. PreviousPrevious post:Pause4Parkinson’s – Exercise for ParkinsonsNextNext post:Soccer Injuries – Yes, they happen!